The field is crowded and new acquisition is more important now than ever before. Harland Clarke will discuss the power of harnessing data to create strong, highly targeted acquisition campaigns that will help financial institutions achieve revenue and growth goals. 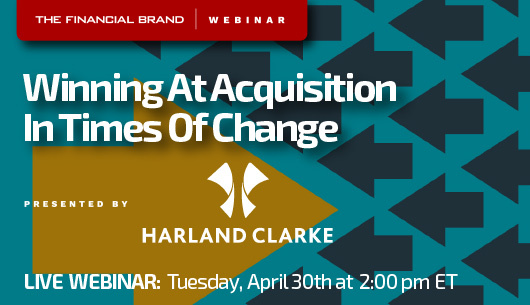 Harland Clarke will give valuable insight and best practices from industry experts and viewers can leverage this information to create an acquisition strategy that exceeds expectations when it comes to return on marketing investment.